You’ve spent most of your adult life wishing that you could own your own restaurant or retail store and finally you have accomplished your goals. While it was a difficult start, you’re getting into the swing of things. 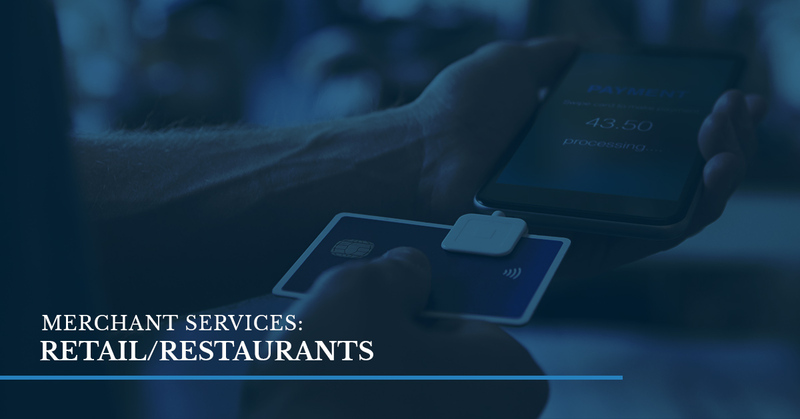 When it comes to owning a restaurant or a retail store, it’s vital that you have merchant services. Merchant services include credit card acceptance, which is essential for any store. Credit card acceptance will open whole new doors to your business. It will allow more people to come in and spend more money because people tend to spend more money when they use a credit card. If you’re a retailer or a restaurant, then take the time to contact us to learn more about our merchant services. If you’re shopping around for merchant services, then there are a few things you need to look out for when it comes to picking the right ones for you. While you might come across a wide variety of companies that have merchant services you should look for some of the following before signing an agreement. Equipment: At Journey Business Solutions, you can browse the wide selection of equipment we offer. Rates that are unbeatable: The rates we offer are at an unbeatable price. You’ll save money and have access to affordable options to process transactions. Great customer service: Each of our team members at Journey Business Solutions are knowledgeable, dependable, and you never have to hesitate to call us to ask a question. No hidden fees: We pride ourselves on being a transparent business. As a small business, we are similar to your company. We’ll go over everything you should expect when you come to us. Clover Station: You’ve probably seen a Clover Station before, but it’s one of the most powerful and productive countertop systems for Point Of Sale. This piece of equipment is designed to be a pillar of your business. With the Clover Station, you can get inventory management, employee scheduling, loyalty programs and gift cards, and sales tax management. MYNT POS: The MYNT POS is an ‘A la carte’ service where you can only purchase what you need for your business to succeed. The MYNT POS will eliminate the 10-20k in upfront cost for a point of sale. It has features that are beneficial without you having to worry about upfront cost. This piece of equipment will save time, manage your employees easier, help you make better business decisions, and bring in more customers. VX 520: Lastly, this reliable piece of equipment is a rugged countertop device that is built to last. This dependable machine helps to handle encryption, decryption, and it processes at the speed of light. The VX 520 has a multi-merchant capability, EMV ready, and up to 500mb for memory to help supposed loyalty programs as well as gift cards. Are you interested in learning more? Call us today.